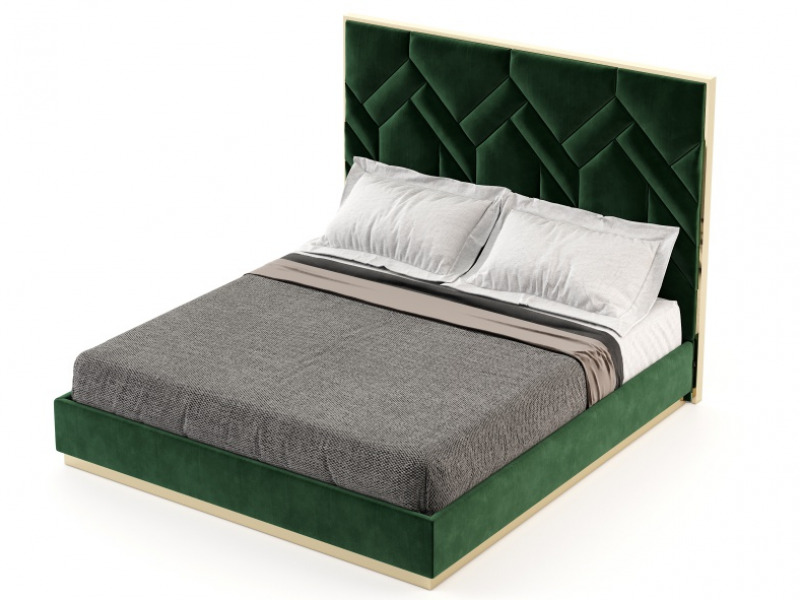 Spectacular complete bed (headboard and bed frame with storage bed) upholstered in ICE-colored faux leather with an original design. 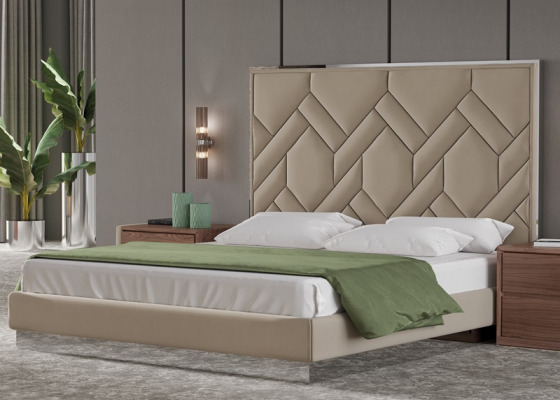 Frame in polished stainless steel and upholstered bed frame with footer in polished stainless steel. 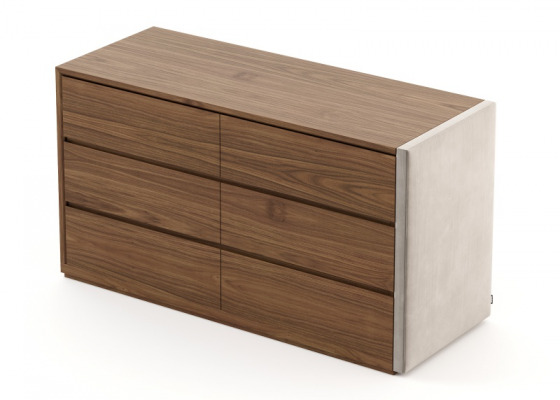 Possibility of different polished stainless steel finishes (silver, gold and copper). 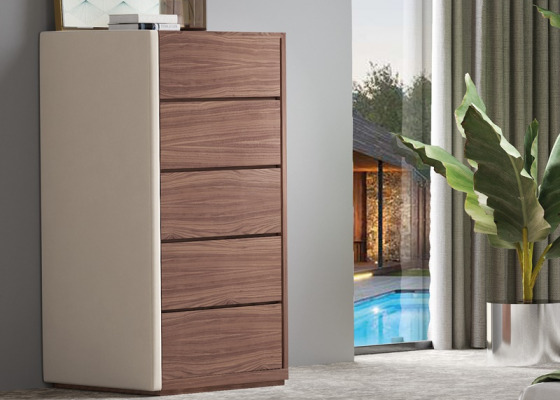 Exclusive and elegant italian design, handcrafted by expert hands. Craftmen and upholsterers make this piece an exclusive element for your home. 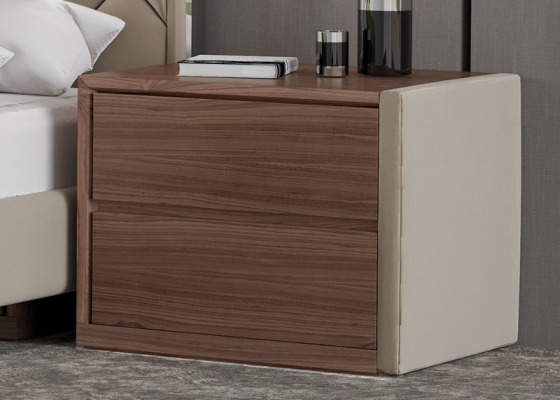 Made with a solid beech wood structure, fabrics, velvets, faux leathers and polished stainless steel. 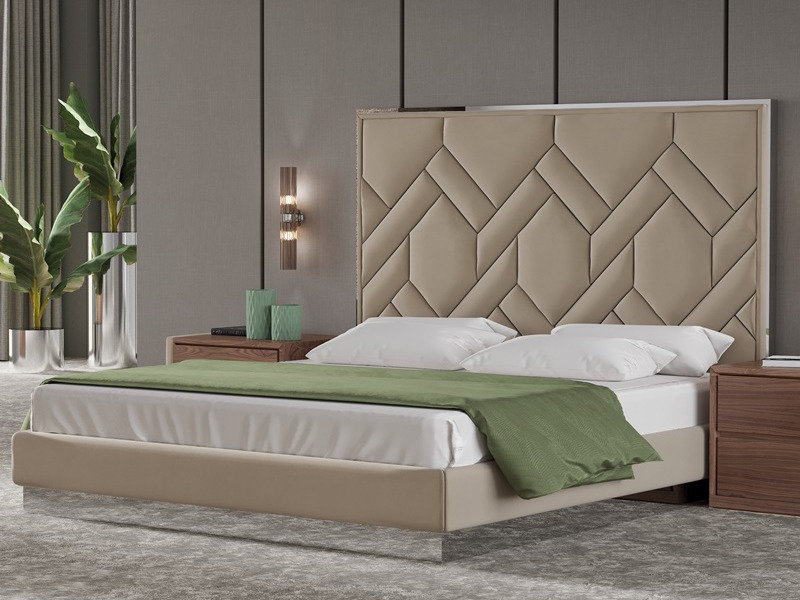 Check our PDF of finishes where you will find a wide variety of fabrics, faux leathers and velvets with different finishes of stainless steel (copper, gold and silver). 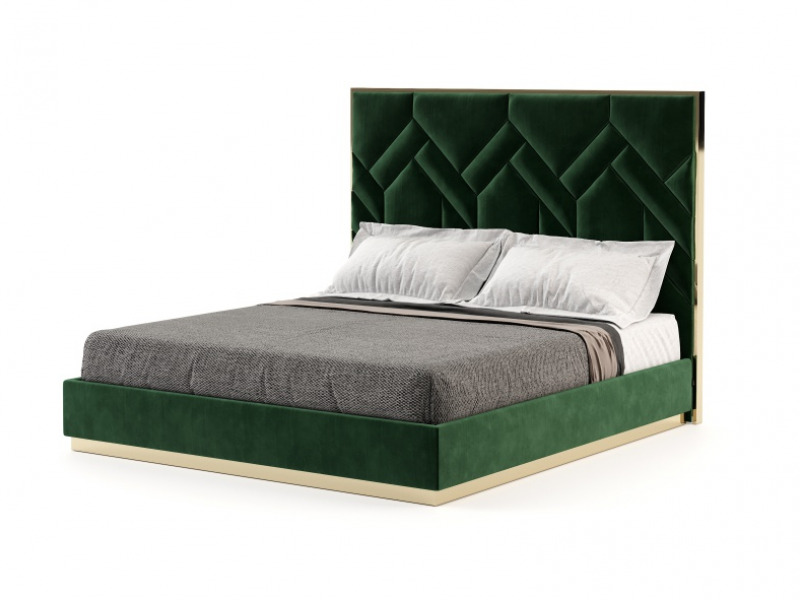 The complet bed is upholstered in ICE-colored faux leather matching the headboard. 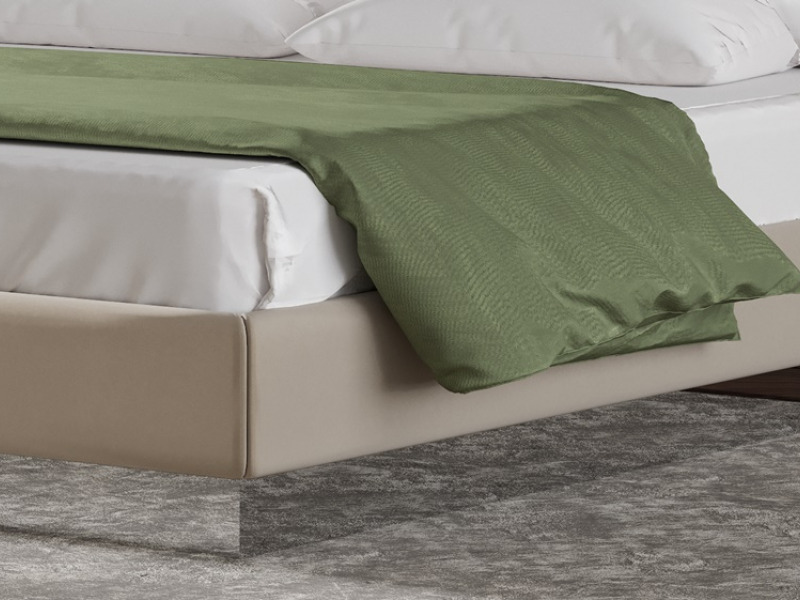 Storage bed coated in breathable fabric. ( Height 30 cms). 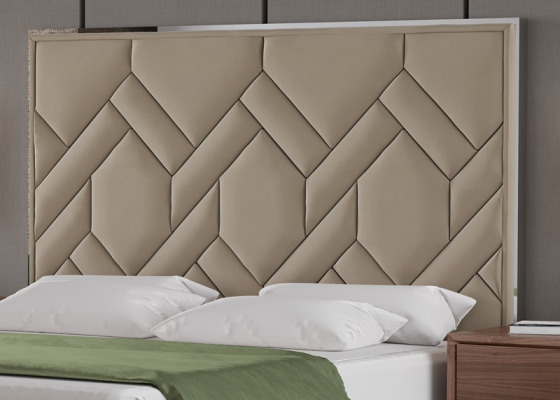 Check our PDF of finishes where you will see the variety of fabrisc, faux leathers and velvets with different finishes in stainless steel (copper, gold and silver). *** FOR ANY CUSTOM REQUEST, USE OUR CONTACT FORM OR CALL US, IT WILL BE A PLEASURE TO RESPOND YOU ***. FOR FINISHES IN GENUINE LEATHER, CHECK SUPPLEMENT OF PRICE IN "FINISHES SECTION"